And you thought I was already there, didn’t you? About being a cretin, I mean. 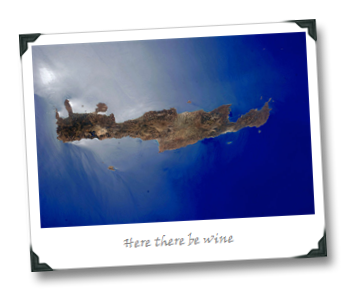 This week, I head out (yes, again) on the road, this time bound for the Greek island of Crete, a trip that’s been in the making in some way/shape/form with www.allaboutgreekwine.com since 2010 (we last discussed it when I visited with them in Santorini almost precisely two years ago). 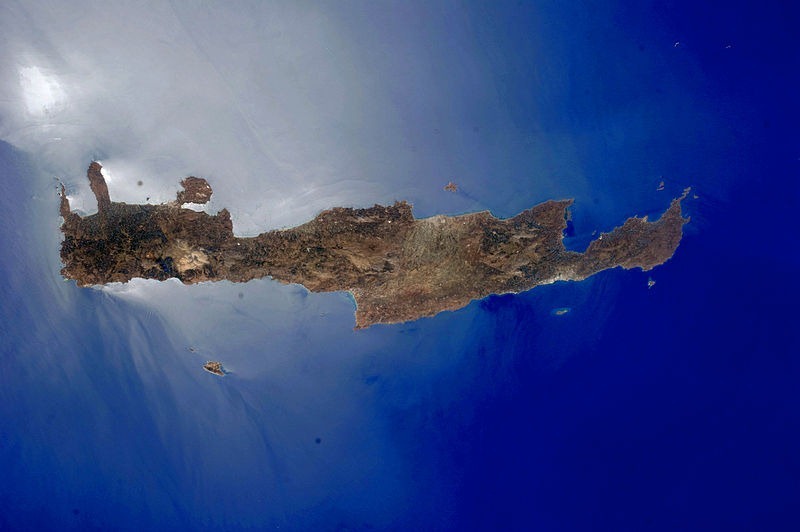 The interesting thing about this trip, in the Going Pro side of things, is that in some ways I’m “on assignment,” having preliminarily agreed with Sommelier Journal to pen a regional overview piece on Crete for their 2013 publication schedule. 1) It’s okay to criticize practices in a medium that you love, provided that you’re trying to change things for the better (otherwise it’s called “bitching”) as well as ruffling the occasional wine-soaked feathers in the process. The assumption here, of course, is that the wine world and its coverage needs changing, which I recognize as a sentiment with which that not all wine glossies are going to agree, but it is one that the majority of people reading this will. As Seth Godin is fond of saying, if no one is angry with you then you’re probably not really changing anything, are you? 2) Wine glossy staff need to get over themselves sometimes – everybody takes criticism (with the possible exception of Chuck Norris). Hell, this is how screwed up things can be in the wine biz: even I’m “big” enough in that sphere to have pissed off some people and taken some critical heat – so the big wine glossies really ought to expect that kind of criticism, but not all of them accept it gracefully when it appears. Sort the bitching from the critiques, and you end up with nuggets of gold for improving what you do. Critically assessing one another (and ourselves) it’s part of how we improve and adapt wine coverage for the folks who actually pay their hard-earned cash to drink the stuff. This assumes of course that you want to improve what you do for people in the first place! While I’ll probably be saving the meat of that Crete journey for SJ (and spending a good deal of time wondering how we’ll manage to mold my… er… unorthodox writing style with their typically more measured approach), I will certainly be reporting/tweeting/reviewing wines from the sojourn, so stay tuned! Funny enough, I ran into him recently! He's a very nice man! @QuitWINEing – thanks for that, inspiring words there!! I think the problem from my end as someone at a "wine glossy" is probably "wine glossy", which of course does include both SJ and WS (along with Wine Enthusiast and others), in so much as we both cover wine and publish on glossy paper, but I don't think many people would put us in the same sentence as the others. Beyond just size and target markets, we cover wine very, very differently than they do (not that it's necessarily better, just a totally different model). On the Giant Steps article, it's probably a case of people worried about guilt by association. If I wrote in our magazine that an unnamed major blogger had told a wonderful, small producer in Australia that they can't review their wines because they have too much acid, but I can't tell you which one, I'm sure a lot of bloggers would have been upset because A)I'm making all of them look bad by just saying "blogger" and not who it was, and B)People are going to start guessing who it was, without any way to know if they are right. I wasn't worried because I didn't think anyone thought of us as a major wine glossy (not to mention we've published an interview with Phil Sexton) Although now I'm somewhat concerned that someone is going to read this, click through and read your Giant Steps post, and think that SJ=WS when it comes to how we cover wine. 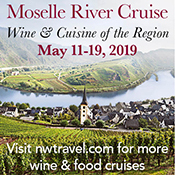 Phil – I think a lot of somms consider SJ major! Anyway, thanks for the perspective, I appreciate it in both senses of the word! Cheers. Gotta say it: If all "wine glossy" articles and writers are the same, then so are all bloggers. Blake – I wouldn't disagree with that. And I'd agree with the logical corollary, that since all bloggers aren't the same, neither are all glossies.